Styled with twin falls pant and current thermal . Engineered to deliver warmth to -30°C / -22°F, this vegan version of the Avoriaz is filled with PrimaLoft® Insulation ThermoPlume, which performs like natural down. 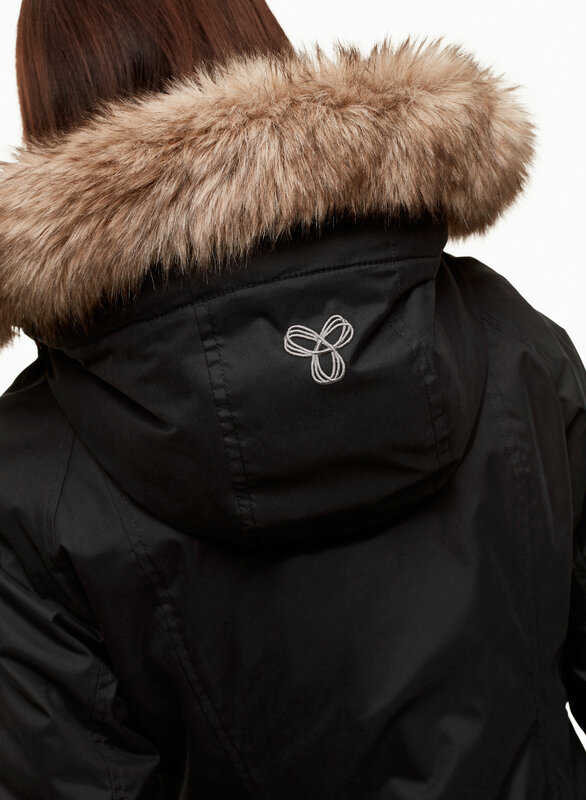 The exterior fabric is water and wind-resistant, while the streamlined shape means you never feel too bulky. Ordered my jacket online. Jacket is well made. Excellent quality. Fast shipping. It's super soft. It's crazy warm. The hood is a-mazing! I love this coat! This jacket is so warm, but not heavy or bulky. You can tell it’s excellent quality. I love how it is fitted at the waist. 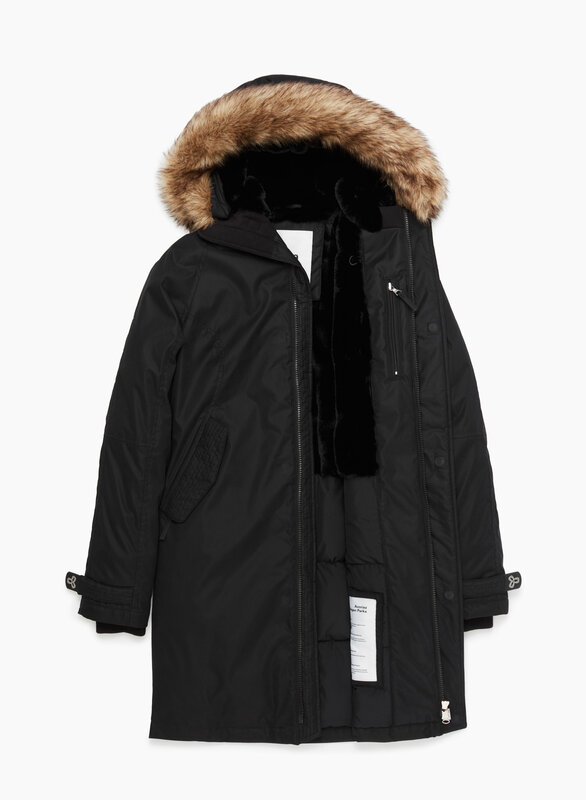 Great coat but if you’re short get a size down. Had to exchange for a smaller size because if the length. Really warm and comfortable though! Love this coat. So warm. Only issue is the zipper gets stuck on occassion. But so worth it for the look and warmth. Love this jacket. It’s so warm and soft and the fabric doesn’t feel waterproof, BUT IT IS. It’s amazing, and doesn’t hurt any animals. Perfection. Thank you so much for making this jacket. 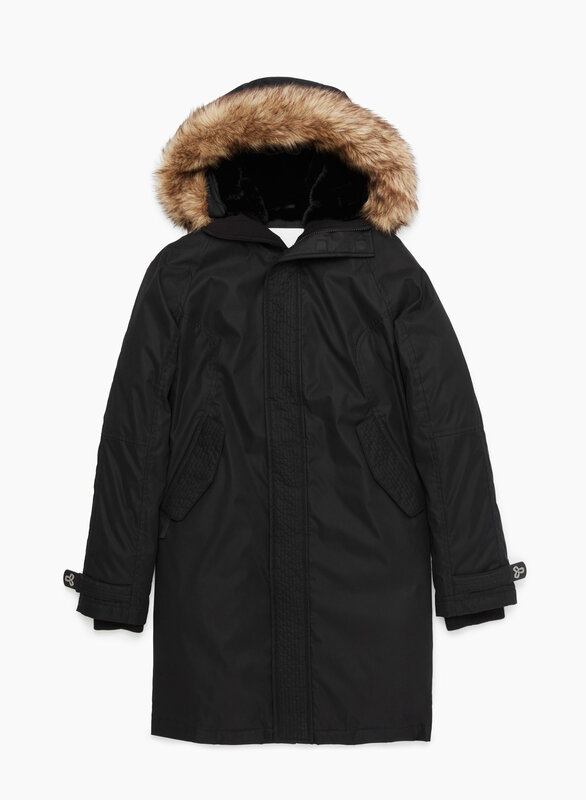 Great quality parka! Great fabric and length to keep you warm on a windy days. It is a little heavier than I was expecting but I don’t mind. Doesn’t look bulky when you wear it. Happy with my purchase! I'm normally a medium, but went for a large and it's still snugger than I'd want, but not enough to return it. It's ridiculously soft. Nice deep hood. What the website doesn't mention is the storm flap over the zipper closes with magnets. The wrist strap decoration also binds with a magnet. Time will tell if the magnets will become less effective but so far so good.